akkawi.ch will develop your new corporate design and your new logo design. Boost your image and distinguish yourself from your competitors with a customised look of your company on various print media. Company logos alone do not make a company appearance. Even if a well-designed logo ensures the recognition of the sender, it is always integrated into a comprehensive corporate design. Corporate design defines how and at which point the logo can be used and with which fonts, colours and images it can be combined. This results in a continuous appearance from the letterhead over the business card to the website and billboard advertising. The logo serves for clear recognition and in general cannot be distorted or reddened. We focus on your company objectives and visualise them through a suitable combination of logo, color & typography. Take advantage of our expertise in this field and trust our graphical approach. After an in-depth analysis, we develop your new flyer with you, the new brochure and all other print media for your company. akkawi.ch advises you on the extensive and diverse possibilities in the printing area and gives you help with material and paper selection. 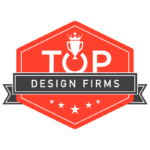 We offer our customers high quality logo designs. Your logo, for example company logo or product logo, is created by our logo designers for you professionally, creatively and individually. And so it goes: You commission us by mail or telephone – we create 4 design proposals for you according to your specifications and wishes, we send them to you by mail. Now it’s your turn, you have to choose one of the 4 logos. After your decision, we will send you the logo file in the desired formats and resolutions.